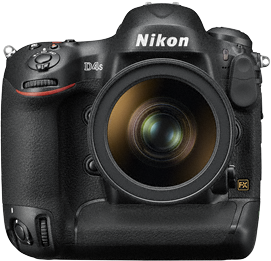 Nikon published another firmware update, this time for its new flagship camera, the D4s. This new C 1.01 firmware fixes some important issues so I would recommend it to everyone lucky enough to own a D4s. When Custom Setting f1 (Multi selector center button) > Playback mode was set to View histograms, the histogram was not displayed correctly for the image played back in the monitor, even when the center button on the multi selector was pressed, when the following conditions were met. This issue has been resolved. - Image quality was set to NEF (RAW) + JPEG fine, NEF (RAW) + JPEG normal, or NEF (RAW) + JPEG basic. - An option other than "Overview data" or "RGB histogram" was selected for photo information displayed with full-frame image playback. With full-frame image playback with "Highlights" or "RGB histogram" display selected, image chroma (saturation) changed with flashing of highlights. This issue has been resolved. When images captured with Color space set to Adobe RGB were enlarged with playback in the monitor, image chroma (saturation) changed. This issue has been resolved. When Rotate tall in the playback menu was set to On, and an image captured in "tall" (portrait) orientation was enlarged slightly (playback zoom-in button pressed once or twice) with monitor playback, the image did not appear to be very sharp or clear. This issue has been resolved. With capture of a Compressed RAW image, followed by a Lossless compressed RAW image, with Image quality set to NEF (RAW), the camera was sometimes unable to correctly record the second RAW image. This issue has been resolved.